Omar A. Aggad was a Saudi Palestinian businessman, the founder of Aggad Investment Company (AICO), and the founder and former chairman of Arab Palestinian Investment Company (APIC). Haji Saifullah Khan Bangash was a Pakistani politician who has been a member of Senate of Pakistan, from March 2012 to February 2018. Senate of Pakistan or Aiwān-e-Bālā Pākistān is the upper legislative chamber of the bicameral legislature of Pakistan, and together with the Qaumi Assembly makes up the Majlis-e-Shoora. Boaz Arad was an Israeli visual artist. He worked in a variety of media including painting, sculpture, photography, and video. Bert Brown was a Canadian senator and retired farmer and development consultant who resided in Balzac, Alberta. Sam Cataldo was a Republican member of the New Hampshire Senate, representing the 6th district from 2012 to 2016. His district comprised the towns of Alton, Barnstead, Farmington, Gilmanton, New Durham, and the city of Rochester. He previously served in the New Hampshire House of Representatives for four terms. Frank William Allen was an Australian rules footballer who played for the East Perth Football Club in the Western Australian National Football League (WANFL). He tied with Jim Conway for the 1950 Sandover Medal. 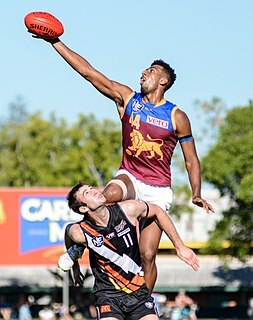 The East Perth Football Club, nicknamed the Royals, is an Australian rules football club based in Leederville, Western Australia, current playing in the West Australian Football League (WAFL). Formed in 1902 as the Union Football Club, the club entered the WAFL in 1906, changing its name to East Perth. It won its first premiership in 1919, part of a streak of five consecutive premierships. Overall, the club has won 17 premierships, most recently in 2002. The club is currently based at Leederville Oval, which it shares with the Subiaco Football Club, having previously played home games at Wellington Square and Perth Oval from 1910 to 1999. The current coach of East Perth is Jeremy Barnard and the current captains are Kyle Anderson and Patrick McGinnity. Ramdeen Ramjattan, known as John Agitation, was a Trinidad and Tobago comedian and storyteller. He was a graduate of the Progressive Educational Institute and served in the Trinidad and Tobago Civil Service. He was also the first comedian in the Commonwealth of Nations to win an election. Siddiq Baloch was a Pakistani English-language journalist, and senior political economist. Caroline Mary Brown was an English cellist who was known for forming the Hanover Band in 1980 that aimed to play music of the Hanoverian era exactly as it originally sounded with the correct instruments and original scores. ↑ Pierre Euclide Conner Jr.
↑ ‘There will never be another one.’ Ocean Springs, USM mourn loss of Hugh Laurin Pepper. ↑ Bishop Agenor Girardi, M.S.C. ↑ Andrew "Andy" Rice Sr.
↑ Thomas Austin Brewer Jr.
↑ "Jim L. Gillis, Jr. of Soperton, Georgia". Sammons Funeral Home. Retrieved 13 March 2018.